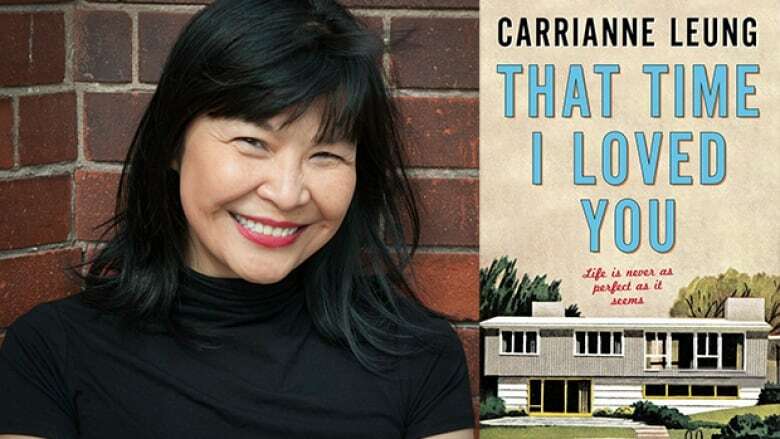 Carrianne Leung's novel That Time I Loved You is on the Canada Reads 2019 longlist. Fiction writer and educator Carrianne Leung draws much of her inspiration from her childhood in Toronto's east end. Her latest work, That Time I Loved You, is a collection of interconnected short stories set in 1970s Scarborough, that peel back the shiny veneer of civility and delves in the underlying tensions and issues of the families in the community. That Time I Loved You is on the Canada Reads 2019 longlist. The final five books and the panellists defending them will be revealed on Jan. 31, 2019. The 2019 debates are happening March 25-28, 2019 and will be hosted by Ali Hassan. Leung tells CBC Books about her east-end roots, writing interconnected stories and how she approached the delicate topic of suicide. "When I was writing That Time I Loved You I didn't know what it was. I didn't know the form it would take or how people would make sense of these stories. It just doesn't follow the conventional narrative arc so it was hard to trust this process and just go with it. "I started writing all these short stories about all these characters that came to mind, all in the same neighbourhood. And then it started to become a collection and then they start to become links because the characters were appearing in each other's stories — and that's how the collection emerged in the way that it has." "My first book was set in Scarborough and this book is also set there. I think the story came from memories of living in Scarborough at that time. And so I guess it was very much influenced by the feelings of being a child in that moment where I felt like a lot it was happening. It feels like that Scarborough doesn't exist anymore — it was such a fleeting moment. For me, growing up marginalized in a marginal place like Scarborough was really important to reflect." "I remember, as a child, there were a few suicides in the neighbourhood. That was my first experience of suicide and I found it very provocative being a child and becoming aware that there were people who would choose to kill themselves. And how does a child get their head around something so profound and such an existential choice — to live or to die? "I never wanted suicide just to be some literary device. I didn't want to reduce it to a metaphor or backdrop for the characters growing up... So the second story was an exploration of the last day of one of the parents' lives before she decides to commit suicide later that night. I just wanted to be careful around that theme. The book is not so much about why or how, but more about what's left behind. What are the questions that suicide brings up in the survivors around how to bear life? Sometimes life isn't very bearable and how do we make those decisions to live everyday?" Carrianne Leung's comments have been edited and condensed.